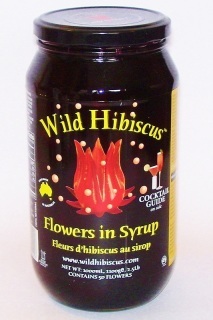 Hibiscus Flowers in Syrup - Delivered to you or sent to a friend. Place a whole Wild Hibiscus Flower Champagne Bud in the bottom of a champagne flute, pour in a little of the syrup out of the jar and fill with bubbly. The bubbles from your sparkling wine stream off the bud and open it up. They look amazing. 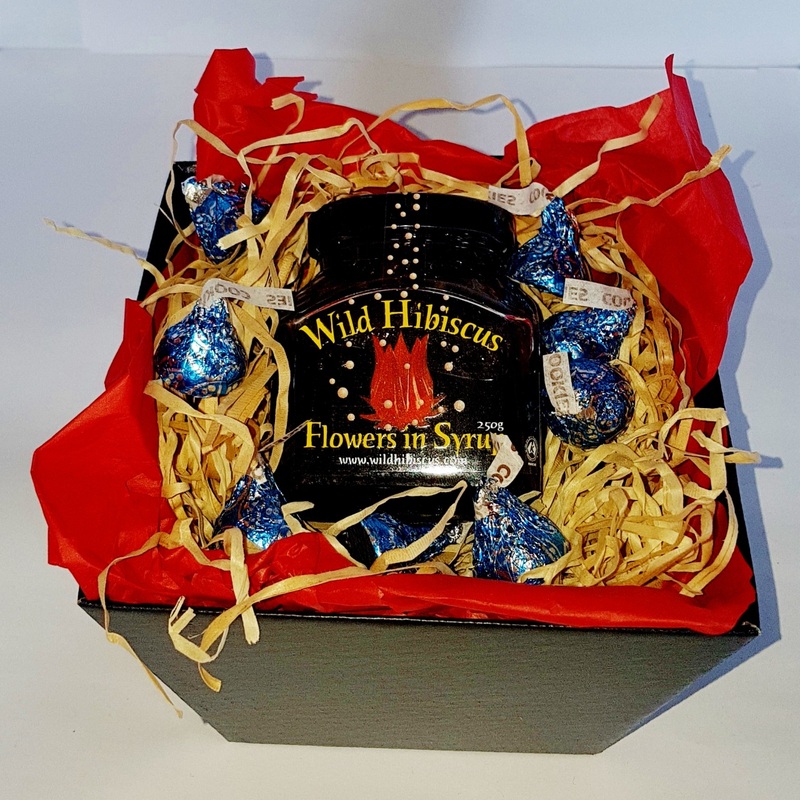 Hibiscus flowers are edible, so you can eat it too, if you want. The bud has a delicious raspberry and rhubarb flavour, and will have picked up some of the sparkling wine flavour, too! For a non-alcoholic alternative, you can use the Hibiscus Buds with lemonade or sparkling water. Champagne buds add something special to your party, wedding, celebration, baby shower, 21st, engagement party, hen party, wedding anniversary, New Year celebrations, etc., etc. 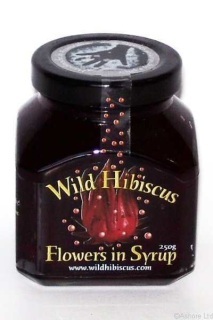 A Large 1.1 kg Catering jar containing 50 Queensland wild hibiscus flowers in Syrup.